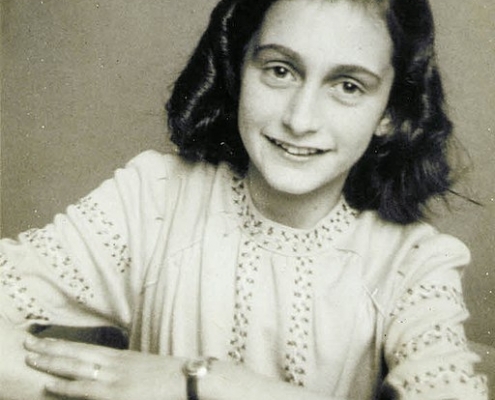 Anne Frank, known today as the author of a famous diary, was a refugee from Germany whose family hoped to make it to the United States. Unable to obtain a visa, she died at the Bergen-Belsen Concentration Camp in February or March of 1945. Senator King. State your name and for whom you appear. Mr. Pickett. My name in Clarence E. Pickett. I appear as acting executive director of the Nonsectarian Committee for German Refugee Children and as executive assistant secretary of the American Friends’ Service Committee of Philadelphia. The latter organization was organized during the World War, and through this committee the Quakers have, since 1917, afforded relief and aid in stricken areas of various parts of the world. For 4 years after the war, the American Friends’ Service Committee provided food for thousands of children in Germany, Russia, Poland, and Austria, giving aid daily to more than 1,250,000 children in Germany alone during that period. They have maintained offices in what was Austria and is now Germany, in Vienna, and in Berlin, and now have offices in Prague. In addition to that, in my capacity as executive secretary, I visited Germany last summer and saw a good deal of the problem you are now considering. I visited the headquarters of our organization there and have been in active charge of the entire task of relief which the Friends have undertaken. Mr. Pickett. As a result of having been in Germany last summer, I would like to present the problem to you by way of comparing the normal life of a normal child with the life of a rejected child in Germany today, as I saw these children during my stay there. I saw them in their homes and on the streets. Remember, this was before November 10, since when the problem has become very much more acute. But even then, children were excluded from the schools. All Jewish or non-Aryan children were excluded from the schools. I will describe the meaning of the term “non Aryan” a little later. They were not permitted to play in the public parks. Time after time children playing in the streets were spat on by other children or abused by their elders. Only yesterday I was reading a little textbook issued by the Department of Education of the German Government, which tells the German or Aryan children what kind of people these Jewish and non-Aryan children are, to stimulate race hated and bitterness. In every paragraph you will find vicious attacks upon these people. The children in the schools are taught to despise and hate these children. A Jewish child cannot go to school, and cannot play in the parks. He is excluded from the streets. Then when he goes home he finds his parents in a great state of anxiety. A knock on the door at night will result in great distress. It is not always true that it means harm, but it sends a shock through the nervous system every times it happens. I saw it over and over again. As regards each of these children, there is the ever present menace of the concentration camp for his father or elder brother. The father sleeps first in one secret place and then another, but rarely at home. There is the crashing of glass at any time of day or night when the neighboring rowdies choose to throw stones through the window. And over and around the child and ever present to him is the shattering anxiety of his parents upon whom he has been accustomed to rely and whose present insecurity invades his life at every point and threatens to destroy the essential security which must be his. And beyond all this terror and insult, his parents have lost their means of livelihood, his family has been put out of their home and perhaps crowded into a small unheated room, wondering how they will ear when the last bit of furniture has been sold. This is the daily life of those children in Germany whom the present regime has elected to disinherit.